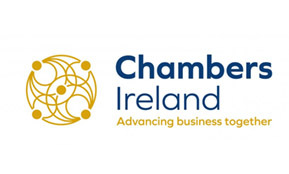 Chambers Ireland Chief Executive Ian Talbot said, “Today’s joint report highlights the enormous depth and breadth of the potential impact of Brexit on exposed companies across Ireland. Ireland’s close trading relationship with the UK has always been the driver of Ireland’s unique concerns on the potential challenges arising from Brexit. However, SMEs in particular will struggle to address and identify contingency and alternative plans for all the potential scenarios which might arise as negotiations evolve. The lack of progress towards any substantive detail on an agreed future relationship in the six months since the EU Council meeting in December continues to raise concerns that the current transition time frames proposed are unrealistic. Those concerns are increasing daily and will increase exponentially as we move closer to the key deadlines.